In this essay, I will discuss an interesting phenomenon - the issue of male Turkish love rats. A love rat is somebody who cheats someone of love and money. Actually such 'love rats' can be found all over the world in every single country. But why is it that Turkey - and to a certain extent, men from countries in the Middle East as well as South Asia - are especially well-known for this 'crime'? And why is it that we seldom heard of male love rats from countries like the US, UK, Canada, Europe etc.? My argument is that love rats are a by-product of societies in which income disparity prevails and where the majority of the people are prevented by immigration legislation to seek better-paid jobs in foreign countries. Many people who visit Turkey actually have very little idea about the socio-economic conditions of the country. Most people only spend a few weeks in Turkey and the places they visit are either big cities with plenty of tourist attractions, such as Istanbul or Antalya; one of the tourist places in Central and Eastern Anatolia, or on the country's western and south-western coast. Most of the European tourists who visit Turkey - pardon me if I say this - are from the working-class background or the lower-middle class background in their home countries. They visit Turkey on an all-inclusive package holiday, do not travel to different cities of Turkey during their visit, and spend most of their time staying within the confines of their holiday hotel or resorts. Many of them do not speak Turkish and do not bother to venture outside of the resort town at which they spend their holidays. This means: the only Turkish they will ever come to meet are those who speak foreign languages and who work in the tourism industry, namely: hotel staffs, carpet shop/jewellery shop owners, travel agents, waiters, restaurant owners, etc. It is highly unlikely that they will ever meet any ordinary Turkish folk who is not working in any of the above professions, because ordinary Turkish people, who have not lived abroad before, do not usually have a good command of English or other major foreign languages. 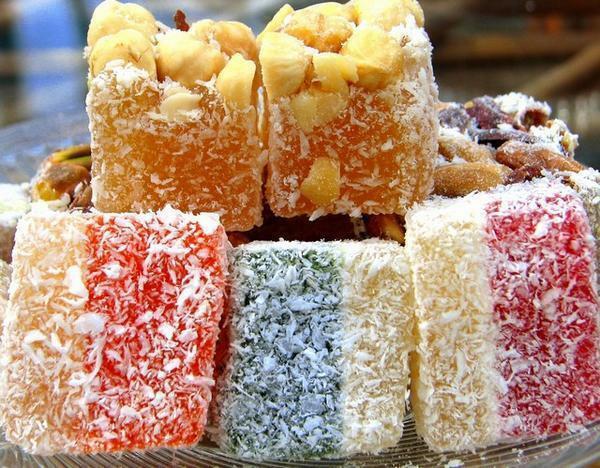 The presence of language barrier among ordinary Turks and most foreign visitors, coupled with the lack of opportunity for tourists to get to know locals who work outside the tourism business, explains in part the reason why most love rats stem from those who work in the tourism sector). Townships Violence in South Africa: What is the True Value of Democracy? Fourteen years after the transition to majority rule, South Africa now face a stern challenge. The outbreak of xenophobic vioence across the Gauteng region this month prove that the current South African government had failed miserably in its mission to provide all South African citizens, regardless of race and colour, with a secure livelihood and a strong sense of democracy. It is a well known fact that South Africa is now one of the most violent and unsafe countries in the world, with more than 16,000 murders a year. Violent crimes are common place, esepcially in the Townships - slums and informal settlements where the majority of black South Africans still reside. Many black South Africans are without jobs - the official unemployment figure is 30% and the real unemployment is far far higher - and they lack decent education. While it is true that more and more black Africans have become affluent thanks to the 'Black Empowerment' Programme - a kind of reverse affirmative action - the majority of black Africans are still struggling on a daily basis. The failure and absolute ineptitude of the current ANC government to address the issue of poverty, AIDS, and prevalence of violent crimes all over the country, suggest that the current political leadership has already served its purpose and should retire from the political scene. In other words, South Africa of the 21st century needs an entirely new kind of political leadership and political power structure in order to deal with problems that are not heard of during the struggles against the Apartheid in the 1980s and 90s. Current generation of ANC leaders are mostly in their 70s and 80s, most of them social revolutionaries from the bygone days. Age, in their case however, do not seem to equate with wisdom. Sadly enough, their political mentality and understanding of what has been going on both within South(ern) Africa and in the wider world are out of date and no longer capable of coping with the current needs of the country/region. ANC leaders now in power might have contributed to the struggle against the Apartheid during the period 1960-1990s, and their contribution and sacrifice ought to be recognised. But Apartheid days are well over and it is now not racial discrimination that hinders the country's development, but widespread violence and crime problem that put the country on her back foot and seriously threaten to undermine the democratic system in South Africa. It was the black South Africans that suffered under the Apartheid regime; now it IS still the black South Africans that suffer most under the current crime problems. So something must have gone fundamentally wrong. And what is it?? UPDATE: Good news finally: Greece's Aegean Airlines (http://www.aegeanair.com), a member of the Star Alliance, will launch a direct Athens-Istanbul (Ataturk) daily service, with effect from 09 September 2009. For those who want to visit both Istanbul and the Cyclade Islands within a few days, there is now the option of flying from Istanbul to Mykonos, Santorini, Naxos etc. via Athens. If you are in Thessaloniki or anywhere in Northern Greece (the province of Macedonia, Thessaly, Thrace) and you want to go to Edirne, Istanbul or anywhere along the Black Sea coast of Turkey, then it is easier to go by bus. UPDATE: As of January 2011, all train services between Istanbul and Thessaloniki have been suspended. A) BY BUS: Turkish bus companies Varan and Ulusoy operate long distance inter-city bus that departs Athens, Larissa, Thessaloniki, Alexandroupolis in Greece and drops off passenger at Edirne or Kesan en route to Istanbul. Apparently Kamil Koc also operates long distance bus between Greece and Istanbul, but their website does not offer any international time-table. It is advisable to ask details about price and availability at one of their offices in Turkey. 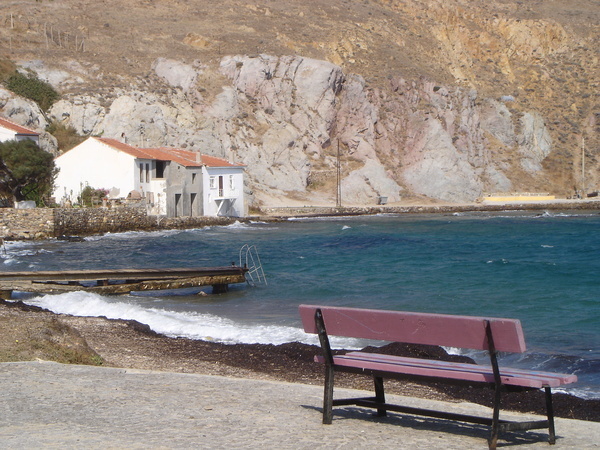 -) Turgutreis - Patmos: this is a new route which starts operation in May 2011. -) Turgutreis <-> Kalymonos: this is a new route which starts operation in May 2011. For those who want to travel from Rhodes to Marmaris, or to take the Greek registered hydrofoil/ferry departing Marmaris in the afternoon (instead of with the Turkish-registered M/V Marmaris Express or M/F Yesil Marmaris which depart in the morning), please check the following websites for further information, as tickets for the afternoon departure to Rhodes from Marmaris cannot be purchased from travel agents in Turkey unless otherwise stated. 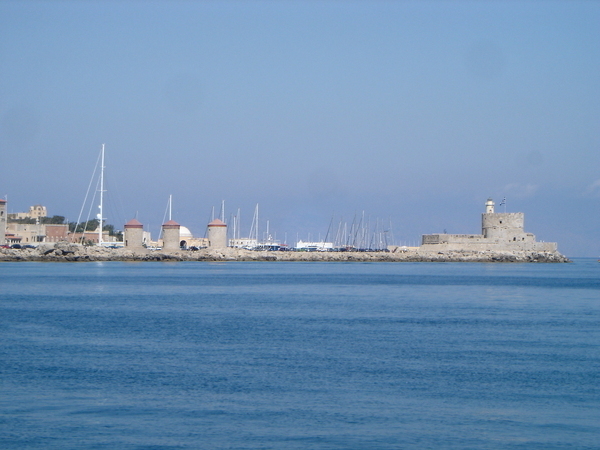 The International Harbour of Rhodes Town. Ferries and catamarans to and from Turkey depart from there. 2)銀行所收的手續費,是以一張5YTL來計算 (2006年價格,American Express USD 旅行支票,土耳其Garanti Bankasi所收的手續費-其他的銀行手續費也一樣,可能還更貴),而不是以兌換總額的百分比來計算. 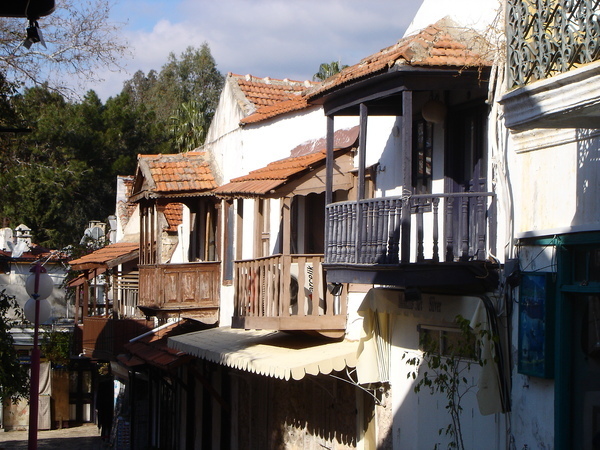 Kas is a little fishing village about 180km southwest of Antalya. Its most famous landmark is the Lycian tombs that still stand in the middle of the town. The town of Kas has a pretty setting, with imposing Taurus Mountains in the background, and beautiful Kekova Bay around the corner. 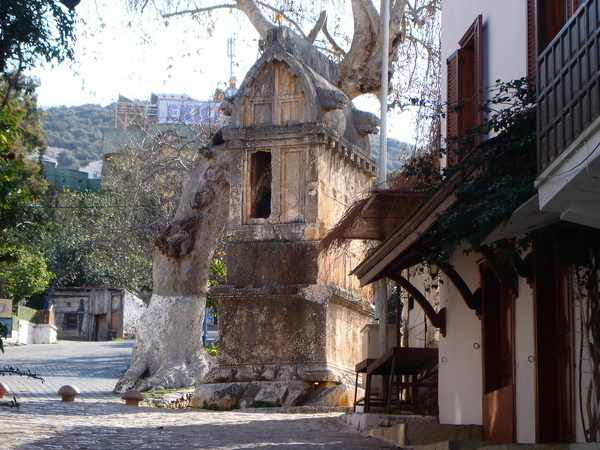 A traditional Lycian rock tomb in the middle of Kas's Old Town. Pretty Ottoman houses lined the narrow streets in the centre of Kas. I really like the little balcony of these traditional houses. Nowadays most of the old houses in Kas have been converted into pubs, shops and restaurants catering to the booming tourist trade. When I visited Kas in February 2008, it was still in the off-season, thus most of the shops and bars were still closed. 一般的人一想到'土耳其逛街血拼',大概會立刻想到水煙管,蘋果茶,地毯,奧圖曼風格瓷器,皮大衣,以及 Grand Bazaar 與 Egyptian Spice Market 所賣的那些可能只有觀光客才會買的東西. While I was still living in Bodrum, Turkey, I had to exit the country once every 30 days due to visa restrictions. The easiest and cheapest way of renewing your Turkish visa is to go to any Greek islands off the Turkish coast, and return on the same day - in the case of Bodrum, the nearest Greek island is Kos. But after a few times going to Kos on a day trip (plus Schengen hopping visa excursion), I thought it was time to try out other nearby islands too. So I looked at the map and visit all of them one by one. 1. Legend has it that Homer was born in Volissos, Chios. Whether this is true or not, is still being disputed by historians, but at least it has been recognised by all authorities that Homer had indeed spent a long period of time residing on Chios. 2. Chios is home to a very unique plant species: Mastic gums (a.k.a. Mastiha, or pistachia lentiscus var. Chia). This is a funny plant: although it could be found in many places across the world, only those grown in the southern half of the island of Chios release resin that has a special armoatic flavour when cut. 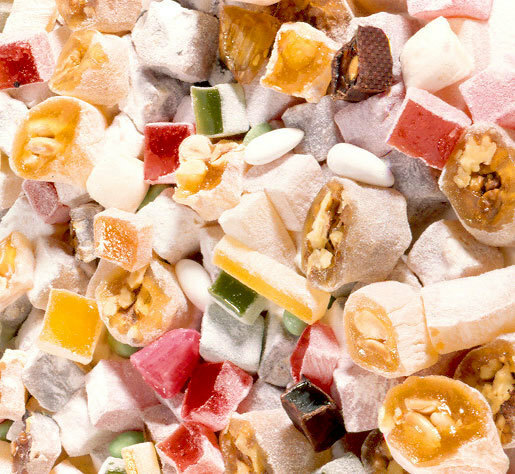 Those that are grown elsewhere - even on the northern half of Chios - do not release any aromatic resin when cut. Until now nobody can explain why this plant behaves in such a way. Some Japanese scientists had transplanted some mastic trees with soils from Chios to Japan and still the plant refuse to yield any resin as soon as it is out of the southern half of Chios. As a result, Chios has the virtual monopoly over the highly lucrative mastic trade eversince the Roman times. Despite being ruled by different Empires (Romans, Ottomans etc. ), Chios was always given preferrential treatments and semi-autonomous status, thanks to its monopoly of mastic production. Chios mastic is also one of the Protected Designation of Origin (PDO) products as well as a protected geographical indication (PGI) name. 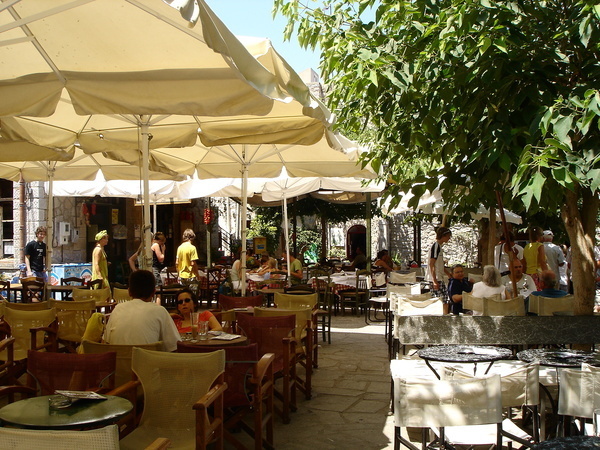 A nice cafes in the fairly affluent Mastic village of Pirgi, southern Chios. The production of mastic on Chios has been controlled by cooperatives and 24 so-called 'Mastic villages' in the southern half of the island. Most of the mastic villages have a fairly well-preserved medieval village centre. Pirgi, for instance, is famous for its painted facades, frescos and walls that signify the mast amount of wealth accumulated from the mastic trade. Because the price of mastic has remained stable in the past decades, Chios is one of the few Greek islands that is not dependent upon tourism as its main source of income. As a result, there are neither big hotels nor well-developed tourist resorts on Chios. It was in fact fairly difficult to get any accommodation on the island which cost less than 40 euro per person per night. 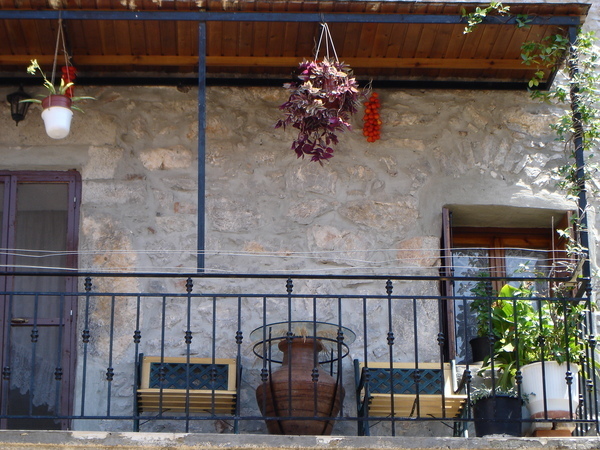 Fresh tomatoes hanging on the balcony: this is a common sight at Chios mastic villages. 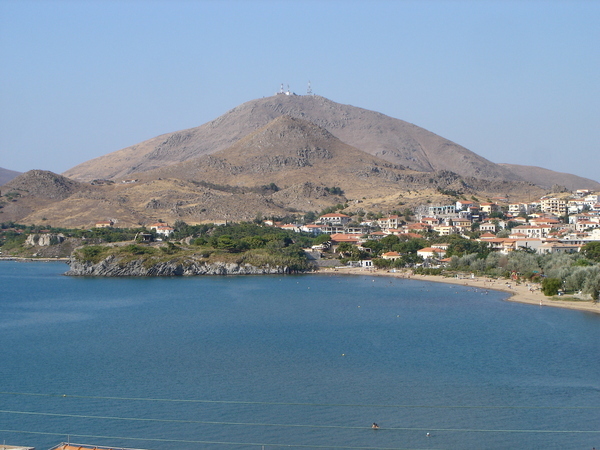 After spenting one week in the really really beautiful village of Molivos on the island of Lesbos, I decided to move on to the next island - Limnos (Lemnos), because I read it somewhere that the harbour of Myrina at Limnos is one of the prettiest harbours in Greece. Because the cheapest hotel accommodation I could find online prior to my arrival on Limnos was more than 70 euro per night, I thought it would make sense to look for cheaper alternatives once I arrived. This turned out to be a grave strategic error, as I found out (after walking around the whole town for more than an hour) that all hotels on Limnos were booked out because it was a major holiday week in Greece: even the most expensive hotel on the island, where I had to pay 90 euro for a single room, was fully booked. Since I am not the kind of person to stay overnight on a bench near the harbour, I decided to take the night ferry to Thessaloniki one day earlier than planned and sleep on the Thessaloniki-bound ferry instead. The overnight ferry from Mytilini arrived early in the morning at 0700 and I was a bit disappointed by the view of Myrina. The harbour is quite pretty but it is not as beautiful as I had imagined: it looks more Irish in terms of flaire than Aegean (if you know what I mean). The white washed houses, with outdoor cafes (still closed when I arrived) and little lanes remind me of some seaside villages in County Kerry, Ireland. Even the shopfronts and the way houses are laid out around the town are really Irish-like. There are a few taverns next to the little fishing harbour but it was so early in the morning, everything was quiet. Another side of the bay, with hotels and guesthouses (all of them fully booked!) - and nice cafes and taverns along the waterfront. It would have been lovely to spend a few days on this island. Walking on the streets of Bozcaada reminds me of Lemnos (Limnos), the Greek island not too far away west of Bozcaada. Both places have a very typical North Aegean flaire, with wind swept cliffs, rocky pebble beaches, brightly coloured houses and a very wild, rugged landscape. I love the stark sense of contrast and solitude as expressed by this photo. A while ago there were talks of a direct sea link using passenger ferries between Bozcaada and Mytilini, Lesbos, but the plan fell through at the last minute, because the Turks refused to open up Bozcaada for international traffic, citing the lack of customs facilities at the little harbour. Unconvincing as the excuse was, it was evident to anyone with some knowledge of the troublesome not-so-distant history between Greece and Turkey that any direct sea traffic between Bozcaada and Greek territory would bring back problematic memories of events in the 1920s.